As you can see from the photo above I have already also bought some shades in regular size. Packaging is very nice. Matte black and shiny silver look real good together. Based on the way these look, apply and feel I’d say these were much more expensive than they really are. Great quality for a very reasonable price. 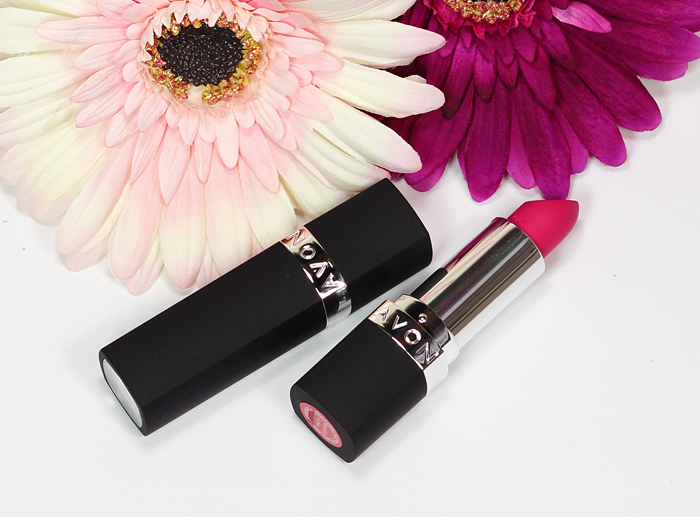 One of my favorite shades, Vibrant Melon is perfect for spring. And below are swatches of all of them together so you can see what they all look like. 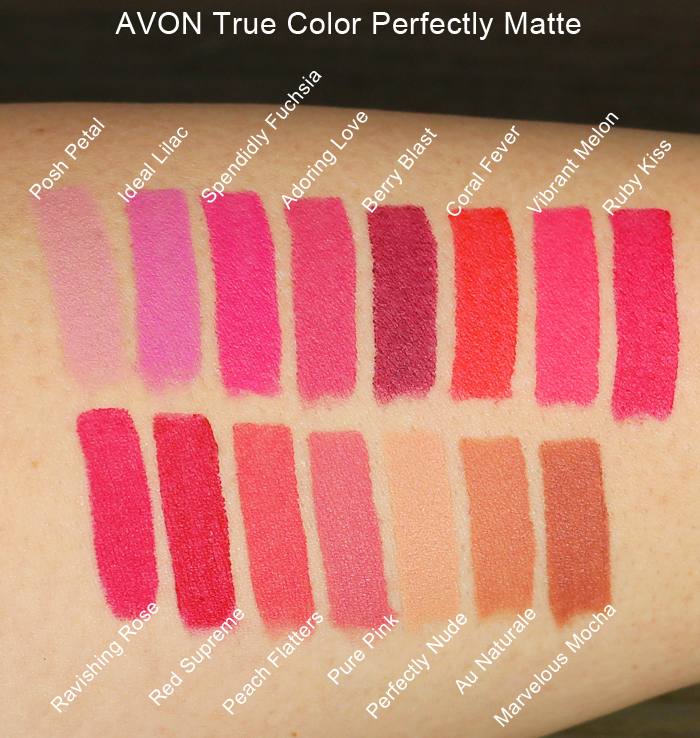 Have you tried these Avon matte lipsticks yet? What do you think of them? ***These lipsticks were purchased by me. 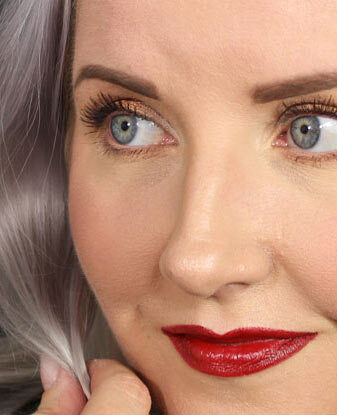 I don’t even wear lipstick, but the swatches have me wanting a few! So pretty! Thank you :) These are a really great quality for the price. So even if you don’t end up using the whole thing you’ll still definitely get your money’s worth. These all look great. I especially like Ideal Lilac, Pure Pink, and Marvelous Mocha. 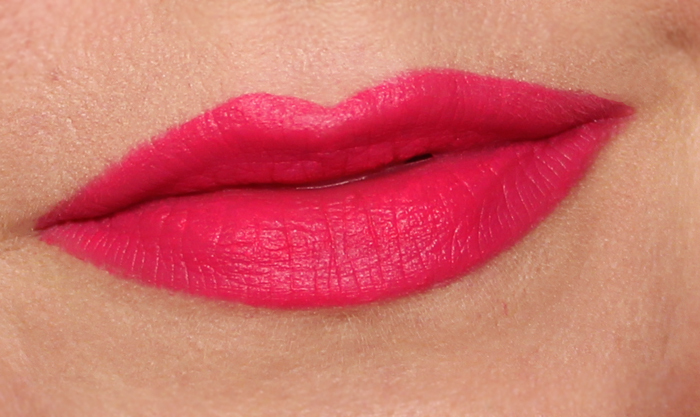 I love matte lipsticks right now. I haven’t tried Avon lipsticks in a long time. These colors are so beautiful that I am tempted to give it a go again! I like Peach Flatters a lot and Vibrant Melons looks great on you! How long does the wear last? Thank you :) This wears from 5 to 7 hours for me if I don’t eat anything greasy. This is so creamy though and wears off nicely that it’s really easy to reapply without it looking like a mess.